IVINS – On May 17 and 18 at 7:30 p.m., the Utah-based band Bullets & Belles and opening act We Are Mirrors will perform two shows for Southern Utah fans at the Kayenta Outdoor Theatre. The concert is sponsored by Man of Two Worlds Productions. Tickets cost $13 at the door or $10 if purchased in advance by calling 435-652-8318. Ryan Cron, Erin Haley and Noel Sandberg are Bullets & Belles. Cron and Haley were happily married and performing gigs on their own until they met Sandberg in 2011 and the group was born. They released their debut album, “Be Glad,” in January 2013. It is a cohesive collection of stories that recall old loves, new loves, family, distance, trials of life, money, being young and growing older, and ultimately celebrating the ability to overcome and “be glad” for all of it. Bullets & Belles’ three-part vocal harmonies and poetic lyrics seamlessly bend the rules of genre while always leaving the audience wanting for more. Their music blends indie rock, soul, folk, pop, doo-wop and even a hint of country into a new genre that Haley said she describes as “neo-doo-wop-folk.” They also have the honorable distinction of being the only Utah-based band to ever sell out The State Room in Salt Lake City. “We say we are ‘neo,’ so we’re contemporary and we’re not in a box; we’re ‘doo-wop,’ because we love that as a base. But we’re also ‘folk,’ because we are the people and we speak for the people about the people,” Haley said. 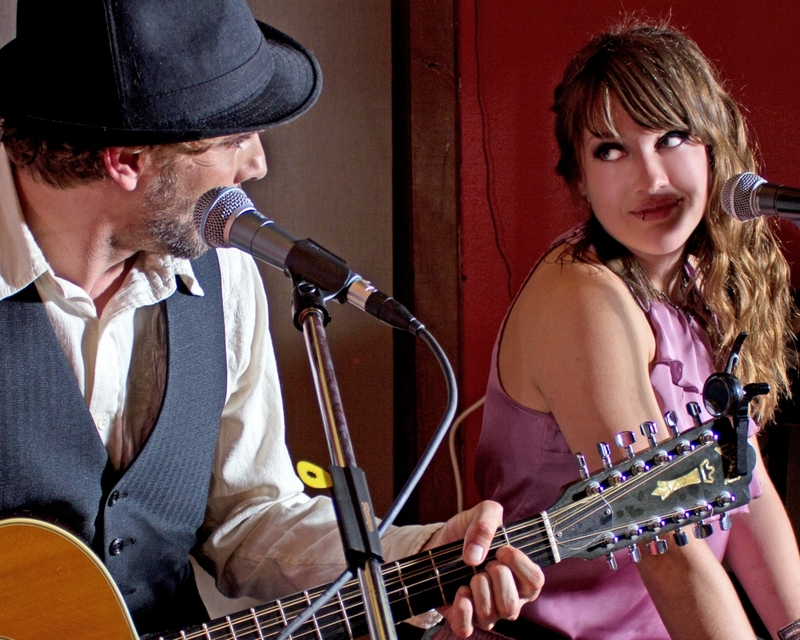 Josh Warburton and Tosha Carter of We Are Mirrors first collaborated in 2012, after jamming together at some open-mic sessions. They are currently working on material for their first EP and plan on releasing a full-length album before the end of 2013. Their music blends folk roots with pure harmonies and simple melodies, creating folk Americana at its best.